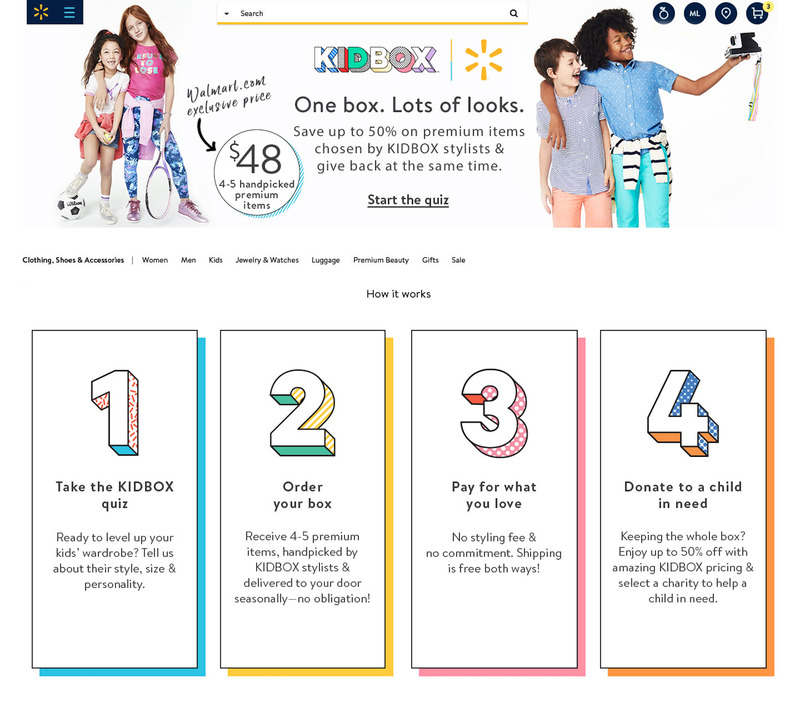 WalmartWalmart is partnering with Kidbox to offer discounts on kids’ clothing. Each box costs $US48 and features four to five items from brands including BCBG, Butter Super Soft, C&C California, and Puma. 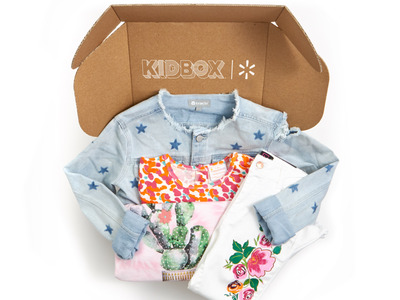 Each box costs $US48 and features four to five items from brands including BCBG, Butter Super Soft, C&C California, and Puma. If customers choose to keep the whole box, they get 50% off the cost of the items. Walmart has been adding new fashion lines for kids to its website over the last year, including Betsey Johnson, Limited Too, The Children’s Place, and Kapital K.